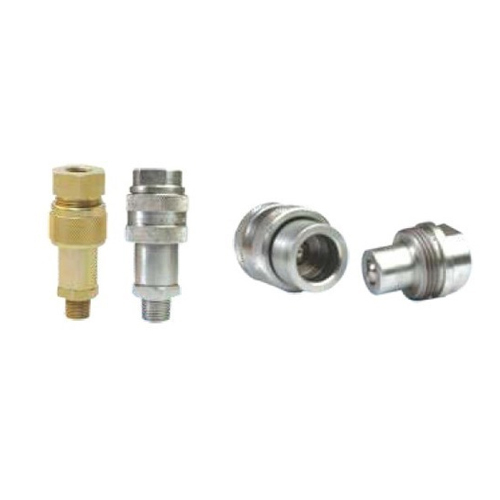 We are the leading and prominent Manufacturer, Wholesaler and Supplier of Screw Type Hydraulic QRC (Ball Type). Backed by sound industry knowledge, we, "S. P. Engineers" are engaged in manufacturing, wholesaling, trading, importing and exporting a broad array of Air Hose Reel, Cable Reel, Grounding Reels, Stainless Steel Hose Reel, Carbon Steel Hose Reel, Hose Reel Balancer, Spring Balancer,etc. Owing to which, we have been able to muster a wide client base across Australia/NZ, Middle East, South East Asia, Caribbean and Europe. After the completion of the production process, our quality controllers check these fittings and allied equipment to ensure that our patrons are provided with a flawless array. We have appointed professionals who properly gauge the requirements of patrons and provide them with these fittings and allied equipment, accordingly. They make use of modern machinery, tools and latest technology so as to manufacture the array as per the specified details. Some of our patrons are Siemens Limited, Thane and Atlas Copco India Limited, Pune.